As a very small kid growing up, cooking seemed like a black art; putting this and that together and creating something nice to eat. During my visits to Aunt Margie and Uncle Carroll during the long hot summers, this became one of my favorite dishes and I marveled at how quick Aunt Margie could conjure up a batch. It was also a bit of a gentle lesson. As a somewhat bratty kid I knew that spaghetti sauce was red, made with tomatoes. 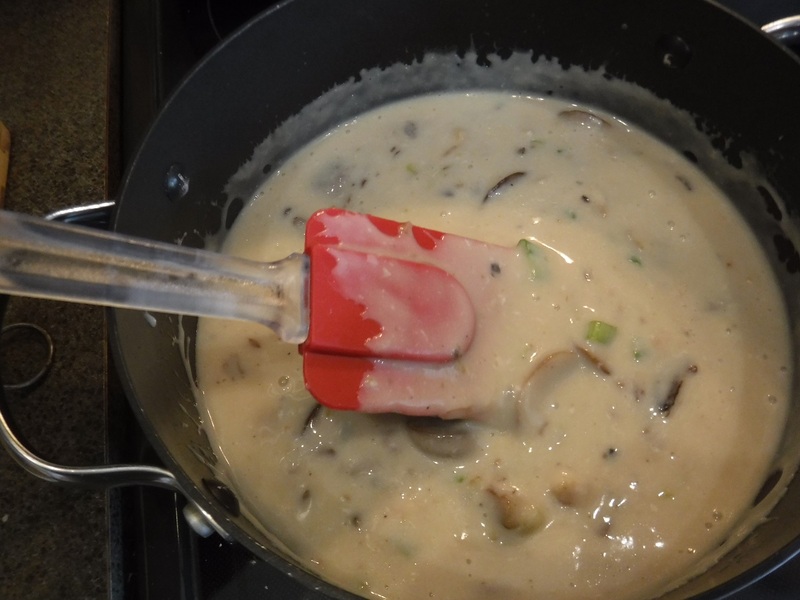 Aunt Margie’s coaxing got me to try other pasta shapes besides spaghetti with red tomato sauce and elbow macaroni and cheese as well as other sauces, like this one, almost like a homemade cream of chicken and mushroom soup sauce. 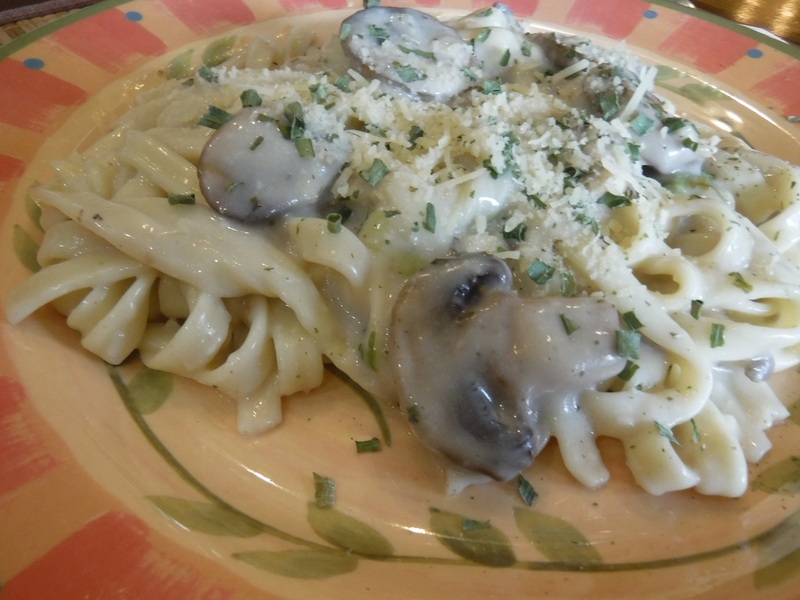 I also learned that the hardest part of making this dish is spelling fettuccine. It is all part of the wonderful memories of summers spent in the mountains of the Angeles National Forest. 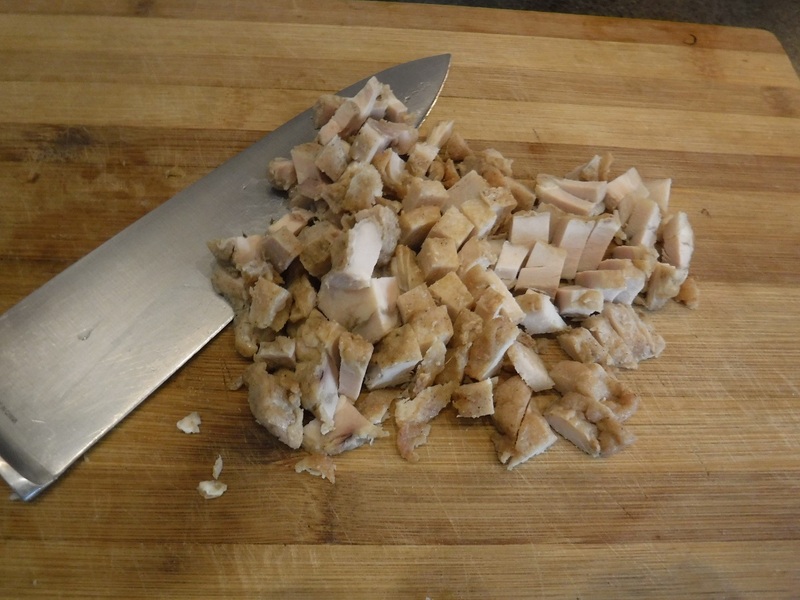 1 cup diced chicken if desired (leftovers are great) *See note below. Cook fettuccine in salted boiling water until ‘al dente.’ Drain, rinse with tap water to stop cooking process and remove surface starch. 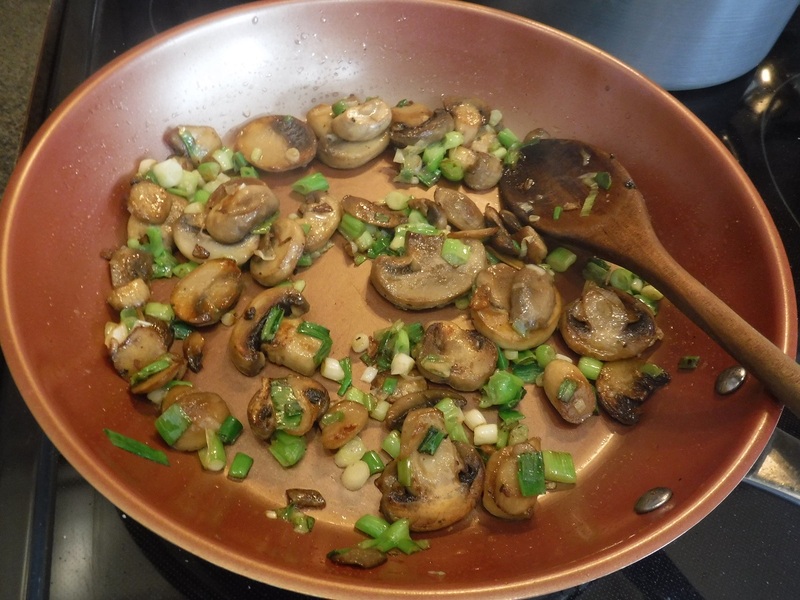 Sauté mushrooms in one tablespoon butter with one tablespoon of olive oil added. Cook until tender then add the sliced scallions, stir and cook and addition 2 or 3 minutes. Remove from heat and set aside. 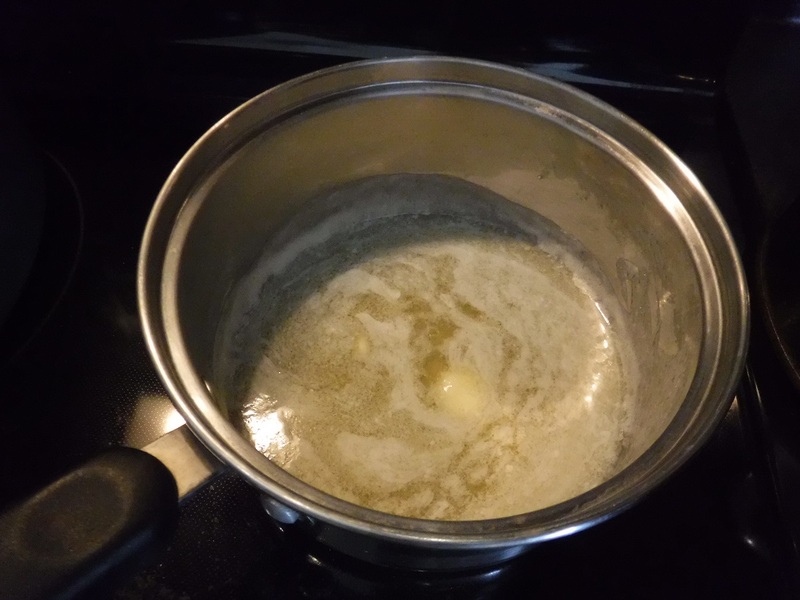 Pour the melted butter into the milk and broth mixture while stirring. Taste and add salt and pepper if desired to taste. 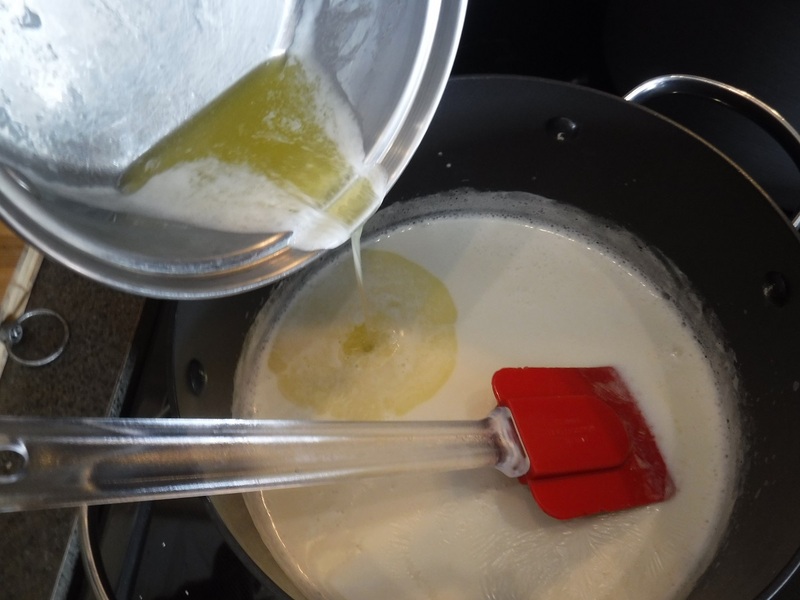 Add corn starch-water mixture stir while cooking over low-medium heat as needed to thicken sauce. 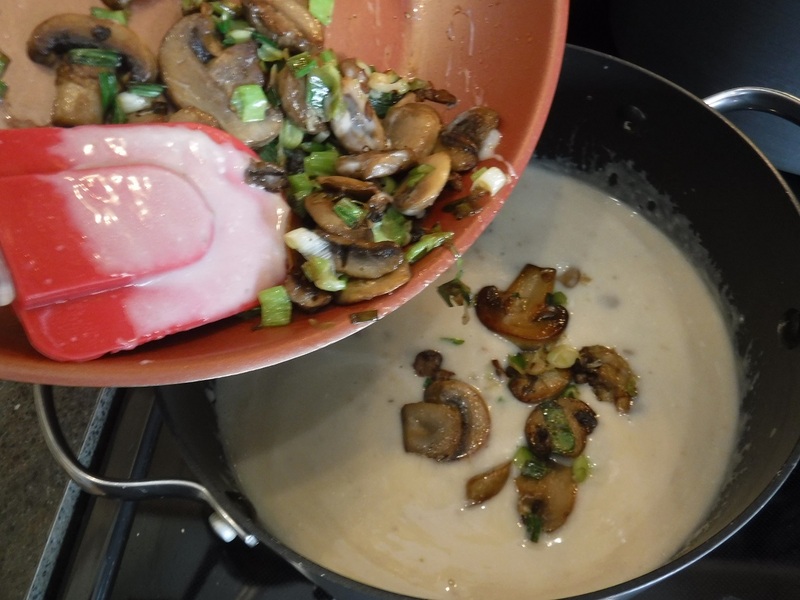 Add the reserved sautéed mushrooms and onions to the thickened sauce and mix thoroughly. 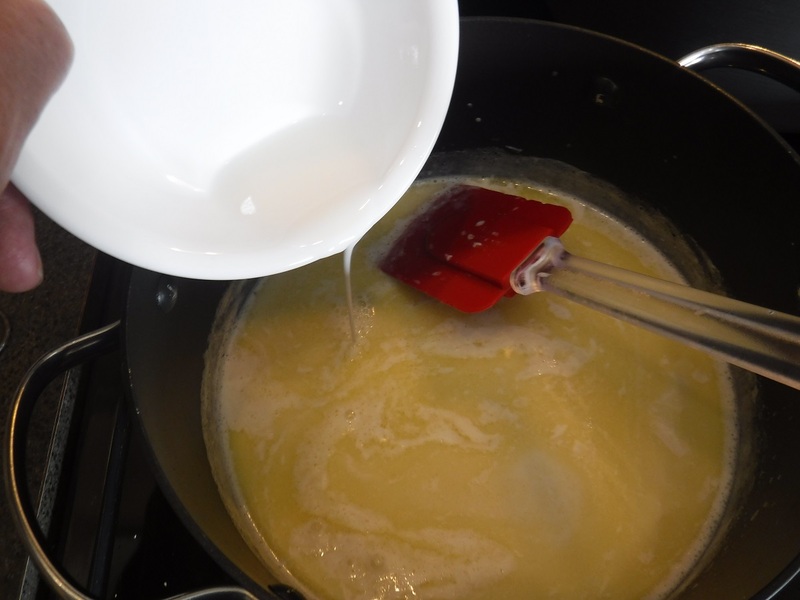 If using chicken or other meat, dice and add to the sauce stirring to mix thoroughly. 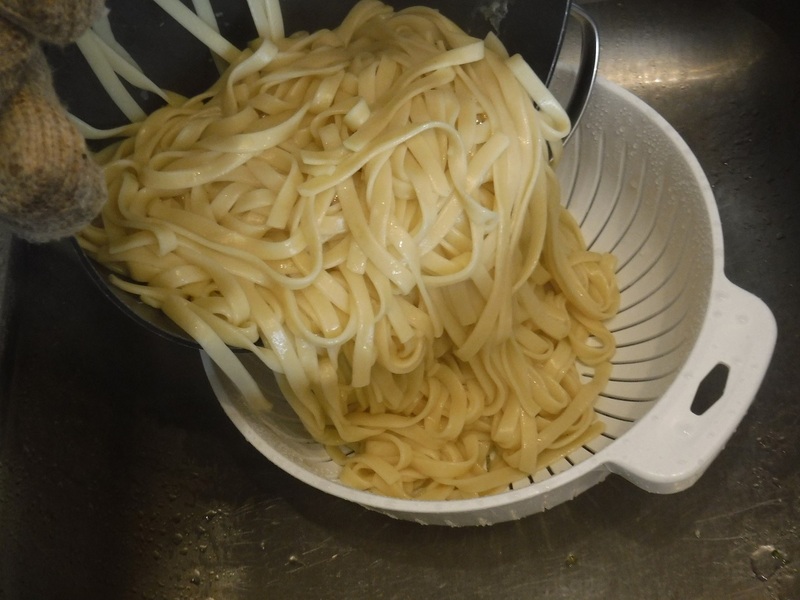 If you are serving most of the noodles right away, add the sauce to the drained noodles and toss to combine. 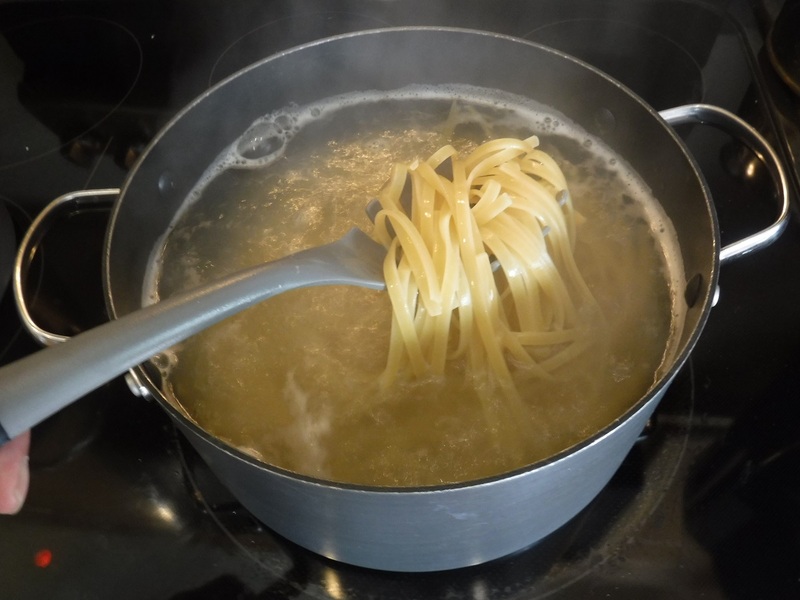 The noodles will absorb liquid and thicken the sauce while standing; if using over more than one meal, add sauce to individual portions when served. 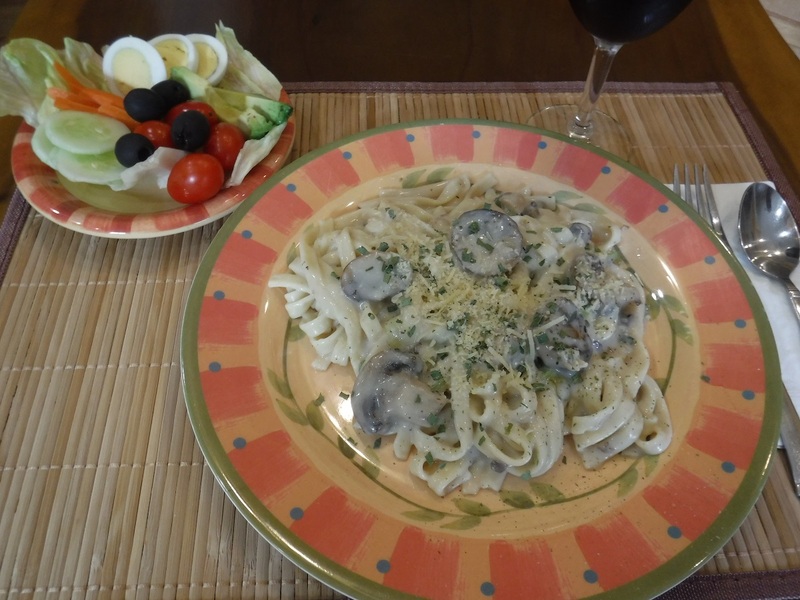 Serve fettuccine tossed with sauce, a green salad and crusty, toasted and buttered bread. 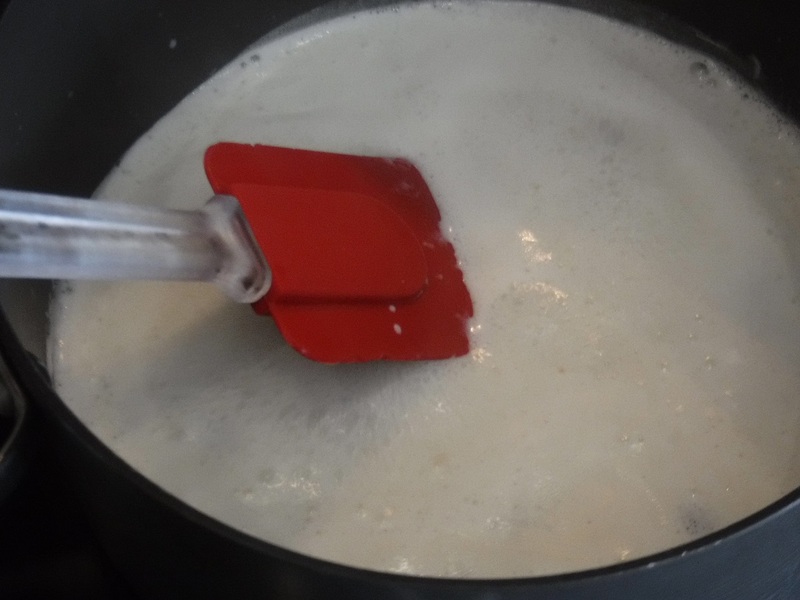 *This was a quick and simple dish, a small handful of noodles, some milk and chicken broth and mushrooms; often made as a single bowlful at a time. Over the years it has become a full pot. 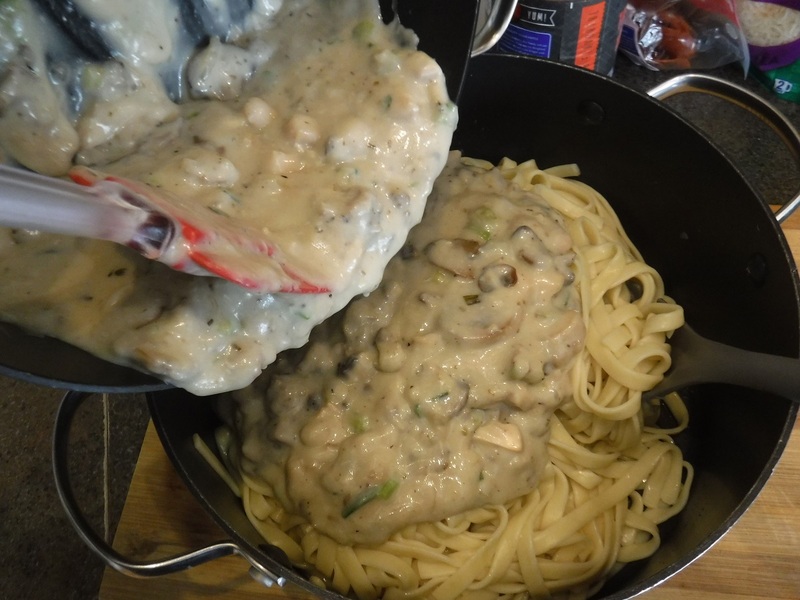 It was a favorite, easy to heat up meal for my son but it needed a bit more nutritional elements as a main meal and it became Creamy Chicken Mushroom Fettuccine and has on occasion been Italian sausage fettuccine.